While I make these mostly around the holidays, they are a perfect treat anytime. If you do not have graham cracker crumbs handy, just take about a package and half of graham crackers and place them in a Ziploc bag. Seal then go over with rolling pin until all lumps are out, should be fine. Add margarine and graham cracker crumbs in bowl and mix together well. 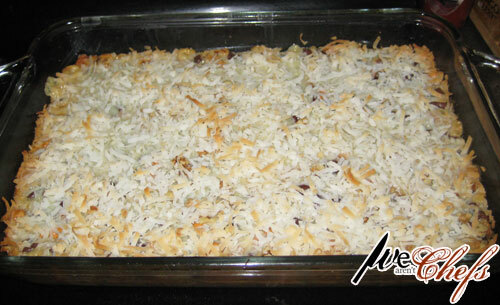 Spray a 13×9″ pan and take crumb mixture and press onto bottom of pan. Pour milk over that then top evenly with remaining ingredients. Use a fork and press down the top firmly. Bake for 25-30 minute on 325* degrees. *325 for glass pans, all others 350.